Most of us have goals, whether it is losing weight, getting a better job, or graduating from college. Some of us want to start a family, while others want to learn how to cook. Unfortunately, most of us lose steam and can’t focus on our goals long enough to achieve the things we want in life. This is especially true for long-term goals. Many of us have multiple plans in our minds at the same time. We set our goals and try to find time and energy for each one, always balancing various plans. But there is another method we can use that helps us reach our goals faster. This method is focusing on one goal at a time. Dr. Eric Amidi often writes about this strategy and says that we should focus on one desire or goal first. In a recent blog post the quantum physicist uses the example of the cheetah’s hunting technique to illustrate his point. He says that a cheetah has the ability to focus on a single gazelle and will use all of its energy to run after and capture that one gazelle, even if he runs next to other gazelles during the chase. Dr. Eric Amidi adds that chances are you will learn a lot about yourself by reaching the first goal and you can use the insight to help you reach the next one. One of the problems with setting goals is that a goal is not realized until a certain time in the future, it’s a place you haven’t reached yet. For this reason many people who set goals are simply not happy or satisfied until they’ve reached their goals. It is this unhappiness that causes many to give up on their dreams. This point of view is further explored by Dr. Eric Amidi who also agrees that we should not separate our goals from the process or journey it takes to achieve them. He suggests that the goal and the process are the same. Article written by Cellan Diet. African mango combined with green tea becomes a powerful weapon against body weight, blood sugar, fat and belly fats. Cellan contains both ingredients as well as other proven weight loss agents. Any weight loss program should aim at not just loosing body weight but also loosing body fat and size of a person’s waist line that indicates his or her belly fat. Studies conducted for effectiveness of African mango and EGCG found in green tea reveals exiting results on weight loss. Combining the powers of both ingredients to bring down the body weight as well as lower blood sugar and “bad” cholesterol reveals that together they are a powerful combination to lose body weight. In order to achieve benefits of both ingredients, one should also follow a calorie controlled diet and embark on a regular exercise program. Together, they may help you to lose 25 to 30 pounds, lower waist size by six inches, increase your metabolism, and control your craving for food. This is why supplements such as Cellan Diet Pills contain dried and powdered inner seeds of African mango, 100 green tea extract and other proven fat and weight loss ingredients. 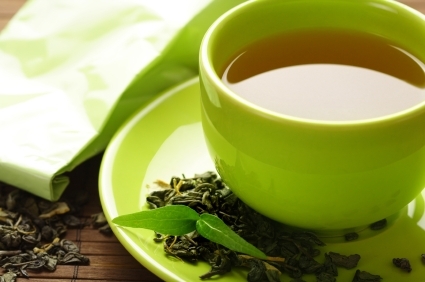 Epigallocatechin 3-gallate commonly known as EGCG found in high concentration in green tea. Researchers think that EGCG help with Rheumatoid arthritis (RA) caused by the swings of body’s immune system. One in 100 people suffer from the condition and women are three times more likely to catch the disease. The condition can go beyond your joints and affect other parts of the body. Bad news is that scientists do not know exactly what causes the disease and there is no known cure for it. However, some studies suggest that experiments with animals induced with RA responded by halting arthritic degeneration when treated with EGCG. RA and associated bone erosion are caused by IL-6 and COX-2 potent molecules and they are much more active in people with RA compared to non-RA people. This is good news for people who are suffering from joint destructing RA. Cellan Diet Pills contains 100 percent green tea extract to give the benefits of EGCG. Article written by Cellan Diet. Scientists find that animals in an experiment enhanced with Rheumatoid arthritis (RA) responded well for treatments rich with EGCG found in green tea extract. This is why Cellan Diet Pills contains100 percent green tea extracts to give the benefits to its users. Article written by Cellan Diet Pills. Exercises are as important as your diet to improve and maintain your health. When you fall behind your goals, supplements such as Cellan Diet made of all natural ingredients to improve your system may help you. Everyone speak of regular exercises being one of the critical elements of healthy living. Exercises do promote cardiovascular health, lower blood pressure, helps to lose weight and maintain body weight, improve immune health, improve circulation, and prepare your body against many diseases. Coupled with a healthy diet, together exercises and diet bring enormous benefits to the human body. When stress from work and sheer daily workloads make it difficult for many to follow their exercise routine and good dietary habits, many fall behind making them more exposed to diseases. A supplement rich in dietary fiber and other essential vitamins and minerals can supply much needed help where diet fails and to help you stay on tract. This is why Cellan Diet Pills contain African mango that improve colon functions, 100 percent green tea extract that provides much needed fighting power with its EGCG content, vitamins and an exclusive berry blend that provides minerals and other important immune health agents. Like most people, you could probably stand to lose some weight. Most of us definitely could. However, most people have had bad experiences trying to shed excess pounds in the past. They’ve found that it’s simply more work than it’s worth to try and get down to that ideal size as it either takes too long or it’s too hard to do. Fortunately, there’s one weight loss plan that actually provides fast results. It’s worked for countless people before too and the best part is that you’ll begin seeing less weight on the scale almost immediately, which will work to keep you motivated. First, you need to cut complex carbs from your diet. That means no more bread, oatmeal buns, cereal or anything else. For most people, this is the toughest part of the plan. But it’s essential and there’s some good news. The good news is that you get to replace that staple with choices like bacon, eggs, butter, olive oil, coconut oil, seafood and other high fat options most of us have been led to believe are mad for us. Imagine enjoying guilty pleasures on a regular basis without having to feel bad about it. Now, when it comes to exercise, give up hour long workout sessions and long runs. Instead, start lifting heavy weights for five reps. Then wait five minutes and do it again. Exercises that will work include bench press, deadlifts and squats. Do each of these once a week. The above may sound unconventional, but it will help you burn fat fast. Paleo Forever is a paleo blog, with posts, articles and recipe covering paleo desserts to paleo snacks. Guest post is provided by Cellan Diet Pills. Stored fat not only add to your body weight they bring ill health too. African mango combined with green tea is helping to lose fat and reduce body weight, and Cellan Diet contains both as its main ingredients. African mango known as Irvingia gabonensis is rich in soluble fiber in its inner seeds. Combined with EGCG contained in abundance in green tea it helps to burn fat and lose weight. Not only that, African mango also credited as an ingredient that helps to curb appetite. This quality of African mango doubles up its value as a weight control ingredient. Burning fat also leads to lower bad cholesterol in your blood and helps to reduce fat cell growth. Other benefits of African mango include improved blood sugar control, and help to breakdown fats. Research into African mango and its fat burning capabilities combined with other ingredients are still evolving. If not for anything else, African mango contains an abundance of soluble fiber that helps in many ways to lose weight. This is why Cellan Diet Pills contain powdered inner seeds of African mango combined with 100 percent green tea extract as its main ingredients. Who should get help from a supplement? Guest post is provided by Cellan. Women and elderly can benefit from a supplement such as Cellan Diet where a person’s daily diet lack required nutrition and those who need special nutritional assistance. Many Americans find it difficult to meet Dietary Guidelines for nutrition purely through their daily diet. As a result many seek assistance from dietary supplements. When it comes to help from dietary supplements women, women who are pregnant and adults over 50 can benefit from more than any other. Additionally those who are not getting recommended levels of calories a day from food they eat, vegans and vegetarians, those who are suffering from a medical and other condition and recovering from surgery and other medical condition could also benefit from a supplement. What can they expect from a supplement? Nutritional benefits, essential fiber, protective substances and reach specific goals. But before anyone rush into getting a supplement, they must talk to their healthcare specialist and do their own research of any supplement. Cellan Diet Pills is a supplement aimed at helping with many deficiencies as well as those who seek special benefits from a supplement. It contains natures best green tea extract that provide much needed EGCG, Vitamins and an exclusive berry blend aimed at supplementing many dietary deficiencies. Guest post is written by Cellan. Among many benefits of African mango weight loss, lowering LDL cholesterol and blood sugar are important and Cellan Diet Pills contains inner parts of dried and powdered African mango. Found in the Central and West Africa, Irvingia gabonensis or commonly called African mango has been rediscovered by the West as a miracle fruit. Residents have been using the flesh to thicken soup and other cooking preparations but the nut contains many of the newfound benefits. Recent tests on seeds of African mango reveal its effectiveness as a weight loss agent. While they were convinced its ability to lose weight, many researchers were surprised to find other benefits of African mango such as lowering LDL cholesterol or commonly called bad cholesterol, improving HDL or good cholesterol, control blood sugar and other benefits. Many think the soluble fiber contains in African mango seed provides these added benefits. Seeds help to slow digestion and absorption of dietary sugar, binding of bile acids due to fiber, and as a result convert more cholesterol into bile acids. These are some of the qualities that many other soluble fibers can’t provide. Cellan Diet Pills contains dried and powdered inner seeds of African mango to bring intended benefits. Does EGCG help you to burn fat? This post is written by Cellan. Green tea contains an ingredient that is proven to improve metabolism, burn fat and promote weight loss. This is why Cellan Pills contains 100 percent green tea extract.